Content marketing manager and author at Brand24. Social media and marketing freak. Occasional traveler and amateur photographer. Sharing economy has gained ground and chances are that this trend will be thriving in the next decades. It comes as no surprise that collaborative consumption has been growing so fast. It offers a wide variety of advantages starting from environment protection, through strengthening communities, ending in lower costs of products or services and giving economic opportunities to thousands of people. On top of that, sharing economy provides access to goods for people, who can’t afford buying them or have no interest in long-term usage. Uber, one of the most successful companies, which operates in this business model, is an American transportation network company that grew from scratch to an international giant operating in 60 countries within 6 years. The rapid global expansion is credited not only to the company’s innovative solution for city transportation, but also to the creative marketing strategy they have developed. Uber was founded in 2009 and was based on a simple idea: It connects partners and riders through a smartphone app. How does it work? Simply put, a user submits a trip request, which is then transmitted to driver-partners, who use their own cars. An Uber partner accepts the request and sets off to pick up a rider in the arranged location. Great consumer experience based on fast service (car comes in a couple of minutes after just one click), convenience (cashless and automatic payments,) and security (the app shows picture, plate numbers and brand of every driver-partner and users can share the route and ETA of their ride with friends and family) are what made Uber popular all over the world. Today Uber facilitates more than 1 milion trips around the world each day. Since Uber’s launch over six years ago, the company grew and currently delivers services to 337 cities in 60 countries worldwide. What is behind Uber’s whopping success? First of all, they sensed the perfect time for setting up a business, while the trend of sharing economy was developing. There are many more international transportation network companies on the market, but Uber is the market leader without a doubt. Secondly, the company conducts innovative promotional campaigns, which attract new clients and increase brand awareness on a regular basis. The original campaign was introduced in seven American cities in 2012 in celebration of National Ice Cream Month, when users could summon an ice cream truck for on-demand delivery. A corresponding campaign was launched on the 24th of July 2015, but this time on a larger scale. This was the fourth edition, which covered 252 cities in 57 countries. Between 11am and 5pm, users could request Ice Cream delivery to their location through their mobile app. Prices and flavors varied depending on the city. The promotion was conducted locally, but on a global scale. Uber’s clients were also encouraged to share their opinions and impressions about the campaign on their social media profiles through a dedicated hashtag #UberIceCream. With Brand24 social listening tool, we collected all the mentions that included the hashtag and measured social stats. 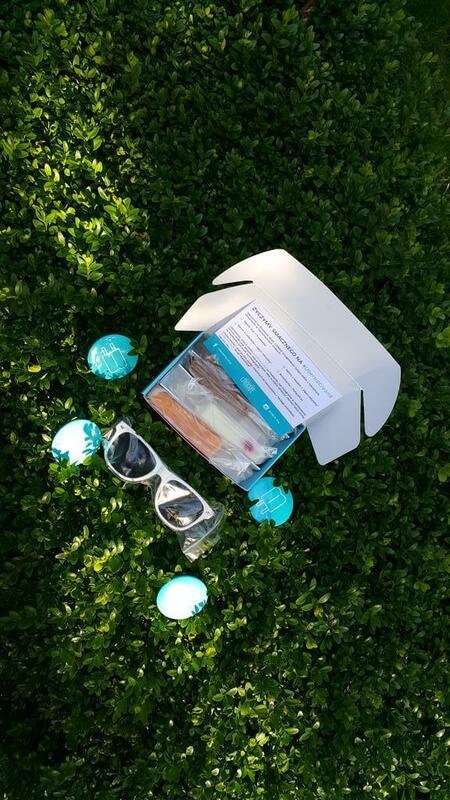 Uber ice cream delivery is the perfect example of a global campaign conducted locally. This years’ one-day stunt took place in 252 cities around the world and Uber managed to deliver 300 thousand individual ice creams to its users. Such solutions help to adjust activities to particular markets and target groups. It naturally translates into much better results. The number of global mentions on the 24th of July was 92% higher than the average discussion volume in the preceding month. The content generated on the 24th of July reached 122% more social media users than in the previous month. *data from the Brand24 dashboard. 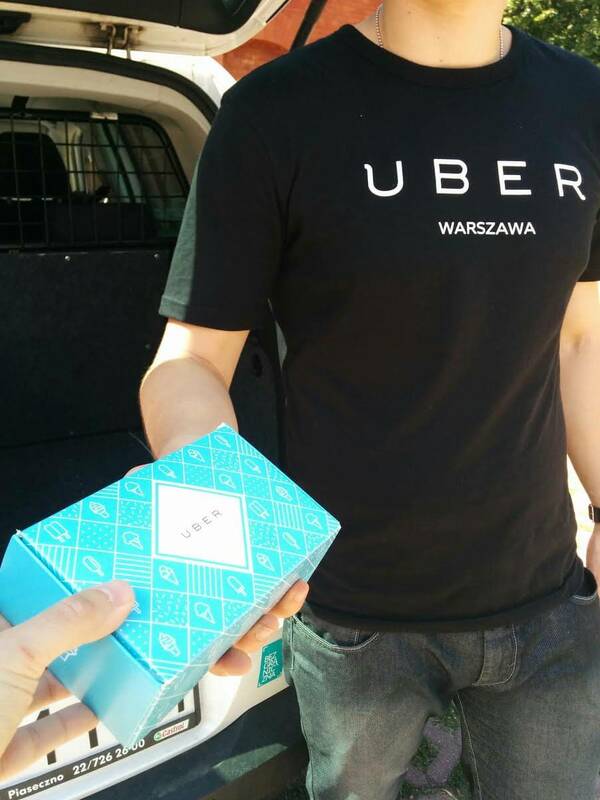 “A majority of our riders are young people, between 18 and 30 years old, who start using Uber because of recommendations from their friends and that is why we organize our marketing stunts to increase the effect of grassroots campaigns” – says Krzysiek Radoszewski, Marketing Manager at Uber. –“ Whilst planning our activities we take into account the fine balance between rider (user) acquisition costs and the return of raising the awareness of our brand. However, the ratio of these goals is always decided upon prior to the stunt and all activities are carried out in order to maximize the set KPI.” – adds Radoszewski. For the #UberIceCream campaign, Uber decided to invest strongly in building a social media buzz around the brand itself and gaining as much momentum as possible. Therefore, an integrated WordPress, Facebook, Twitter and Instagram campaign was designed. 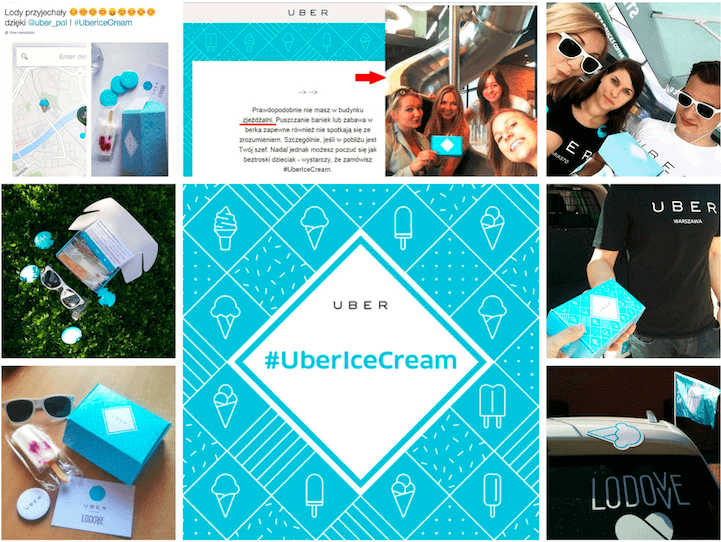 User activations were sourced through simple online competitions: photo sharing in social media accompanied by the #UberIceCream hashtag. Uber’s marketing team believed that in the case of #UberIceCream, a simple and scalable user interaction would be most beneficial. However, measurable campaign outcomes are only an indication of the success of a stunt. At young companies such as Uber, accumulating interesting and well-executed events can put in motion a ‘Snowball Effect’, which enables the firm to step into larger partnerships and what follows, organize similar stunts in an increasing scale. To put the scale of UberIceCream in Poland into perspective, the official partner of the action, LODOVE used over 400kg of natural ingredients for ice cream production (including 55kg of strawberries, 50kg of bananas and a whopping 80kg of natural yoghurt). – “We believe that our users and their overall experience with the Uber brand are at the very core of our business. Therefore, all activities we prepare are centered on creating positive and unique interactions for our riders. This may be an exciting stunt; a convenient, value-for-money transportation offering or just a simple funtivity. In the end, our users are the ones, who really build our business” – concludes Radoszewski. What’s been your favorite marketing stunt so far? Write in a comment!